So it’s Halloween on Friday and I thought I’d inspire you to update your homes for this spooky holiday. Of course you have to calve a good ole pumpkin this time of year!! So much fun looking at designs and having a good calve! This has been a tradition in my family where every year we all get together and have a pumpkin calving night and meal. However the ‘kids’ are all at their Universities and I’m in Italy so this year is on hold!! Despite this fact, I thought I’d bring it to Italy! 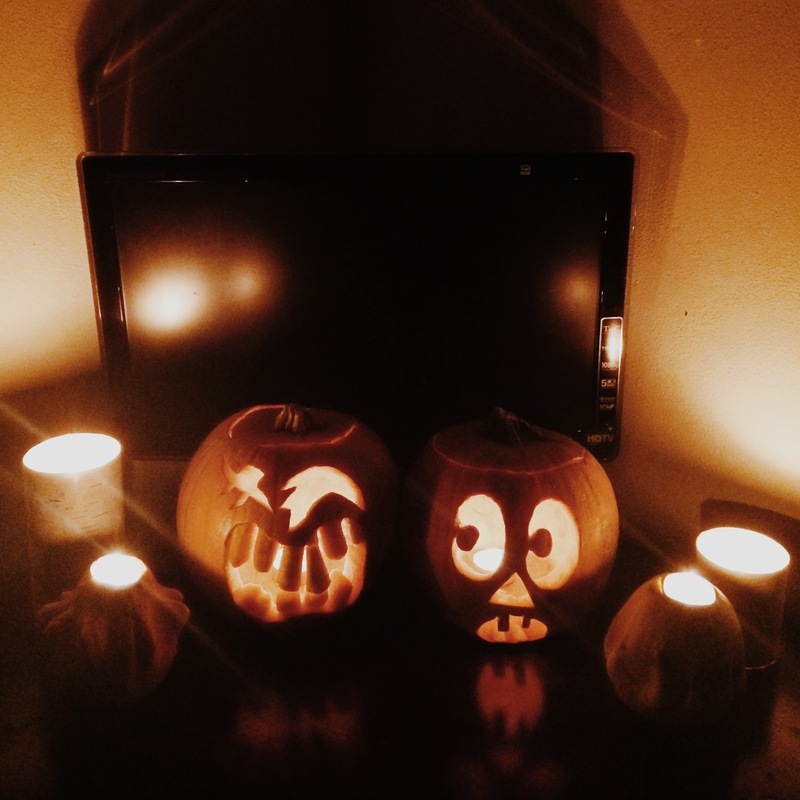 So here are Millie and my pumpkins!! 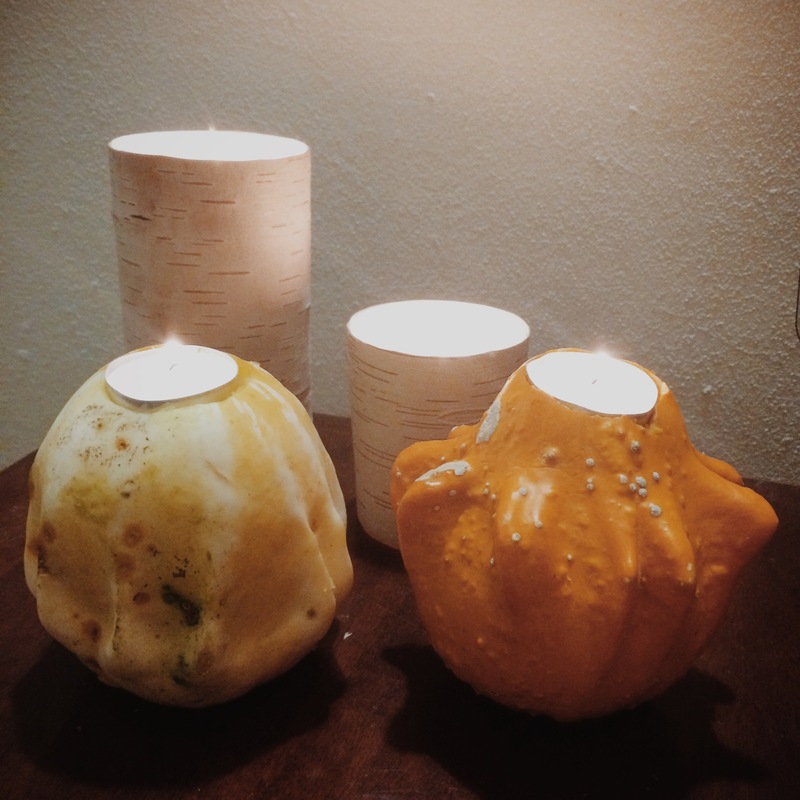 I also made candles out of the mini Gourds and they’re really easy to do!! You simply snap off the stem, get a tea light, draw around it on the top of the gourd and get a sharp knife to cut along the circle. When you’ve done this, grab a spoon and scoop it out. You may need to do some extra cuts to be able to slide the tea light in. Once you’ve done that, you’re ready to go! < Previous Florence Year Abroad – Perugia EuroChocolate Trip! 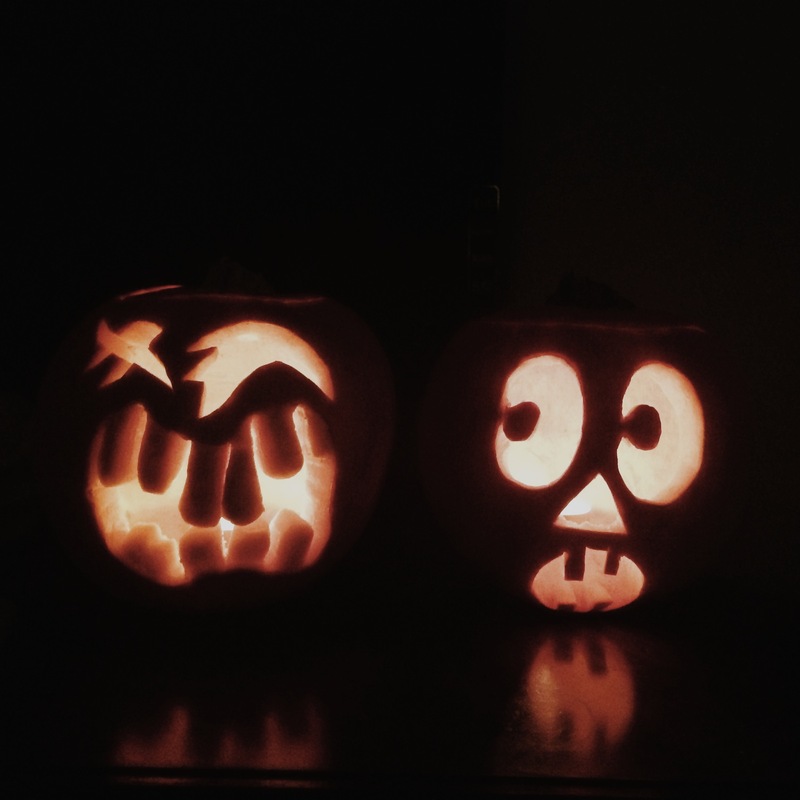 Next > Florence Year Abroad – Family Come To Visit, San Gimignano and Halloween!